Join the Travel Hags on an Adventure this year. The Travel Hags welcome you to join them on an adventure. These wise women with goddess attributes are a group who love to travel and experience new things or revisit familiar sites with a new perspective. They go on organized trips – sometimes for a day, sometimes for a weekend or longer – and what makes the trips especially fun is meeting other women who love to travel and have common interests. Men are welcomed only if a Travel Hag brings them. So guys… if you want to join us, you’ve got to get a hag to bring ya’. NOTE To all my friends waiting for me to schedule more adventures…. I’m knee deep in launching Chesapeake Ghost Walks this year. We’ll be training guides (some of whom are Travel Hags) to lead a series of Ghost Walks in 12 Eastern Shore towns. For now that’s consuming all my time. I hope to get a few bike rides and kayaking trips on the calendar this summer, but for now the schedule is bare. So until the pressure lets up for me …. come with us on a Ghost Walk! There are many packaged tours targeted for women traveling with families, women who love to pamper themselves at a spa or resort, and for women who are skinny, pretty, fit, and want to do strenuous outdoor activities that show off their great bodies (running, zip-lineing, mountain climbing, riding rapids, blah blah blah). For women who may not be as fit as those outdoor girls, or want more than the family vacations or the spa scene, there aren’t many packaged tours out there – especially packaged tours that allow you meet new girlfriends. Travel Hag Adventures are for women who like to see new things, feed their minds, love art and culture and low impact outdoor activities (walking, kayaking, hiking), and most of all – enjoy time with girlfriends. Men are welcome too, as long as they are brought by a hag and know that they won’t be the center of attention. Travel Hag Adventures are geared toward building the mind, making friends, and traveling within the context of a story. One of the core Travel Hags (pictured above at the St. Patrick’s Day Travel Hag Adventure 2012) organizes the tour and any woman can join in. Usually, prices are identified up front and each travel hag pays her own way. Adventures have included kayaking down the Transquaking River, camping at Janes Island, dinner in Little Italy, Bar hopping in Fells Point (that was Joy’s idea), Seeing a show, and Dinner at Old Saltys (home of the Best Crabcake in the World). Join hags in the middle of the week for the Crumpton Sale – aka the Crumpton Auction – aka the Dixon Auction. This is a third generation auction house in Queen Anne’s County that auctions between 3000 and 6000 lots per week. Antique furniture, tableware, glassware, jewelry, coins – you name it. They’re all at the Crumpton Sale. Follow the Travel Hag down the streets of Old Ocean City and learn about spirits that haunt the inlet, museums, house, hotels and more. 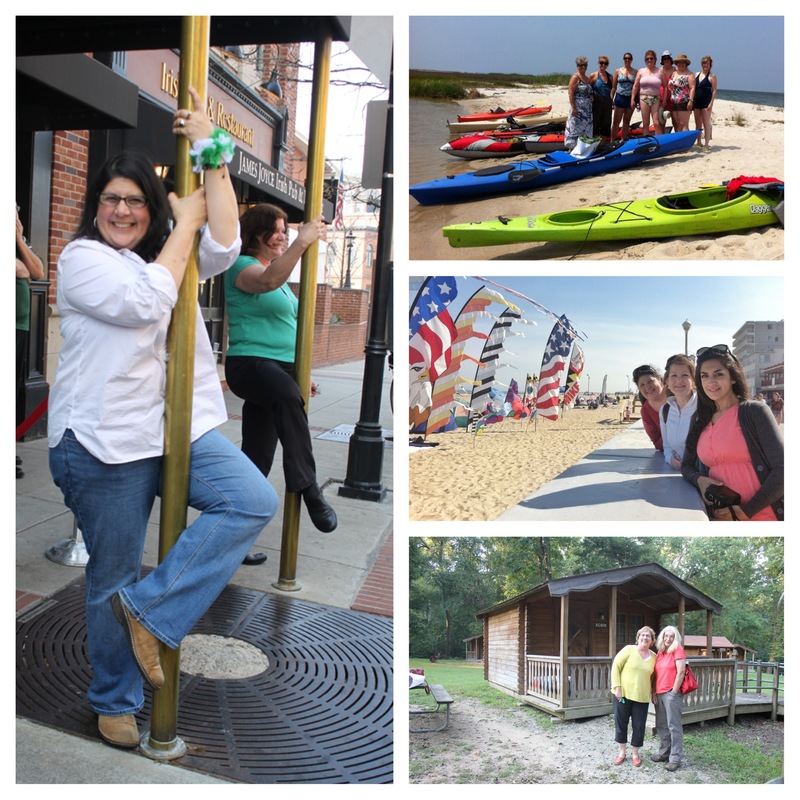 Travel Hags will meet in St. Michaels for a day of shopping, winery tour and visit to the Chesapeake Bay Maritime Museum, then down to Tilgman Island for a late afternoon / early evening paddle on one of Tilghman’s scenic water trails. Join the travel hags mid-week for a day in DC. Hags will meet at the METRO in New Carrollton and travel downtown and visit several Smithsonian exhibits, tea at the Willard Hotel, then off to Arlington Cemetery, ending the evening with an early showing of the popular comedy Sheer Madness, the longest running continual show at the Kennedy Center. 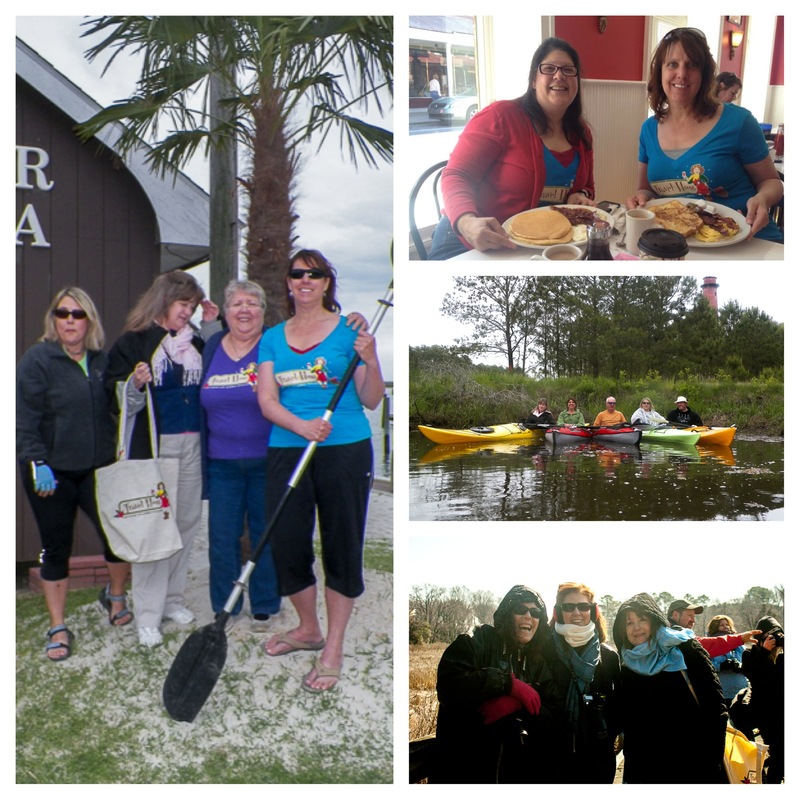 Travel Hags will join The Wild Goose Chase – a bike ride for women that benefits Blackwater national Wildlife Refuge in Dorchester County. This the sixth annual Chase with hundreds of women bicyclists expected. We’ll take a one-day bike ride through Blackwater and some of the most gorgeous land in Maryland. Wildlife abounds – see bald eagles, foxes, deer and maybe even the Delmarva Fox Squirrel <–rare species. These are flat roads with no traffic with wide open skies and miles of water and salt marsh. Don’t miss this one. Family Camping weekend at Harpers Ferry KOA. Make your reservation early. Lots of things for kids to do over the October holidays. Cabins are available. We’ll head into the historic downtown during the day and catch the ghost tour (the longest continually running ghost tour in America) on Friday evening. Meet at the Pocomoke River Canoe Company in Snow Hill at 9:30 am for a day of kayaking the most scenic river in Maryland. Canoe Company will transport kayakers to Porter’s Crossing and the group will paddle down the Pocomoke back to the Canoe Company. This water trail winds through some of the most pristine, unchanged landscape on the Eastern Shore. Paddle through a cypress forest in a shaded environment (perfect for July). Paddle takes about 3 hours. Cost is $45 for kayak rental (tandem or single) for the day or $10 launch fee if you bring your own kayak. Then spend the afternoon in these scenic Town of Snow Hill. Lunch at the Emporium followed by a visit to the Julia A. Purnell Museum followed by a complimentary Ghost Walk of Snow Hill led by Mindie Burgoyne. Ghost walk led by the Travel Hag through Pocomoke City’s historic neighborhoods and waterfront. Travel Hags will bring their bicycles to Assateague Island, MD. We will meet at 9:30 AM in the parking lot just before the Verrazano Bridge and then head out to the park and the bike trails that wind along the Bay and run parallel to the Ocean. We will bike for 3 hours then head to the Town of Berlin for lunch at Si’culi Rustic Italian Restaurant. No Admission. National Seashore is free to hikers and cyclists. Lewes Delaware – Mid Atlantic Seaglass and Coastal Arts Festival followed by a day trip to Cape May, NJ. 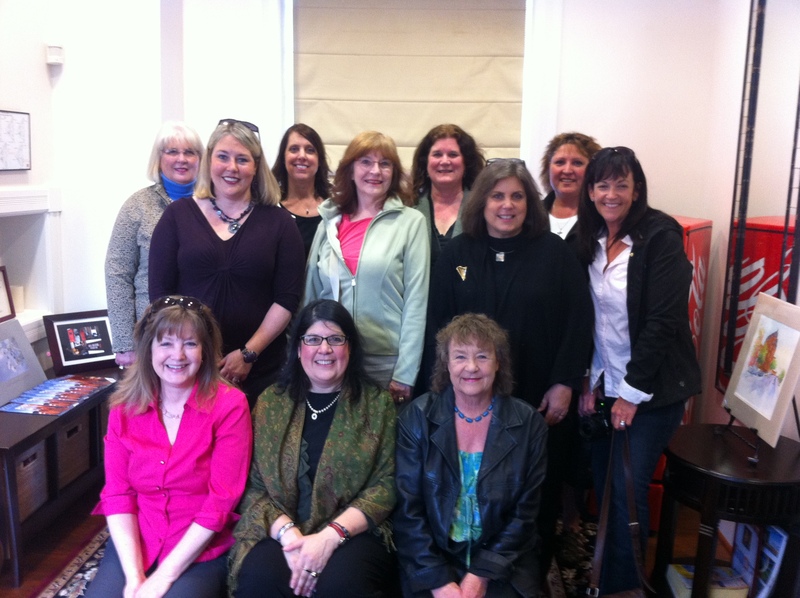 The Travel Hags will meet at 9:00 am at the Historic Complex at Second and Shipcarpenter Streets in Lewes. After a few hours at the Festival, Hags will head over to the Ferry Terminal and hop on the 12:45 Cape May / Lewis Ferry as walk-ons. Hags will cruise to Cape May, NJ, disembark and jump on the shuttle into Cape May’s historic downtown, then perhaps shop in the Washington Street Mall which takes “buy local” to new levels. All the shops are privately owned and the buildings are former beach cottages. We’ll spend about three hours total walking around one of the most beautiful historic, seaside towns in America, then back on the 6:00 pm Ferry to Lewes, arriving around 7:30 pm – then a dinner in historic Lewes’ dowtown for those who can stay. Travel Hags will meet at Tom’s Cove Visitor Center on Assateague National Seashore in Virginia. Where kayaks can be rented (or bring your own). Kayak in calm waters while being able to hear the Ocean waves break on the other side of the dunes. See the wild ponies graze along the island beaches. Walk the Ocean shore. After kayaking, the hags will have dinner in Chincoteague (voted #1 America’s Best Beach Town’s by AOL Travel). Optional overnight will be added later. Join the Travel Hags for a day of outdoor photography training with Maryland photographer and photojournalist, Ed Remsburg. Ed will meet the group at Eastern Neck Wildlife Refuge in Kent County, Maryland (near Rock Hall). He will offer a two-hour session on Landscape photography tips which will include work in the field and indoor session where he will show some of his photographs and discuss more on technique. After the photography session, the entire group will be served Afternoon Tea by Innkeepers at the Inn at Huntingfield Creek. Meet at 9:00 AM at Eastern Neck. Session will be over by noon. COST is $50 per person. Limited to 20. Email tours@travelhag.com for more information. PRE-REGISTRATION IS REQUIRED.